We’re prepared and ready to delivery fun bounce items to your Indiana party. 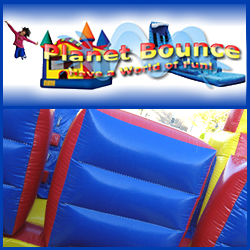 Choose Planet Bounce for your inflatable water slide, bounce house, and obstacle course needs. Thank you for choosing Planet Bounce!